Directions • 1. 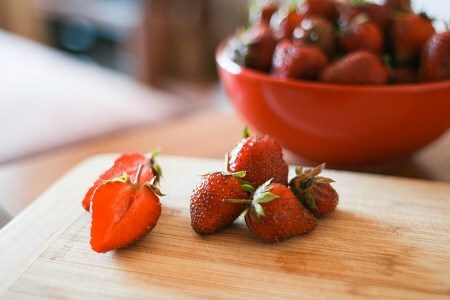 Gently rinse strawberries and dry on paper towels (be sure strawberries are completely dry). Line cookie sheet with waxed paper. • 2. In 1-quart saucepan, melt chocolate chips and shortening over low heat, stir frequently. Remove from heat. • 3. Dip lower half of each strawberry into chocolate mixture; allow excess to drip back into saucepan. Place on waxed paper-lined tray or cookie sheet. • 4. Refrigerate uncovered for about 30 minutes or until chocolate is firm. Store covered in refrigerator so chocolate does not soften. Easy is the key word today for Valentine's Day recipes. Please share yours. 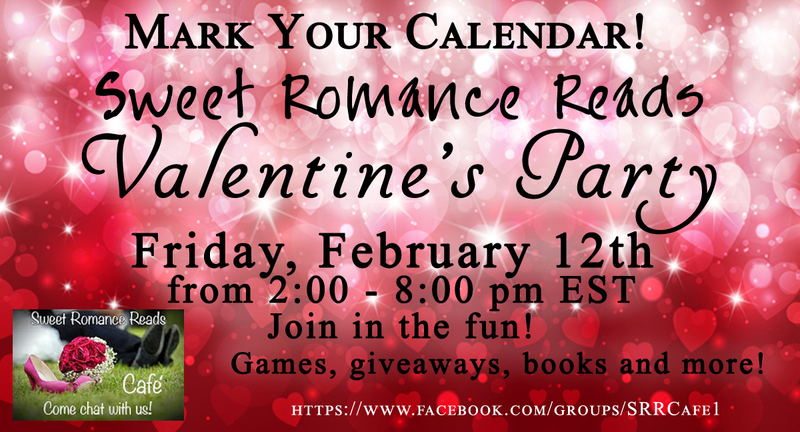 Check out the Sweet Romance Reads Authors for a Valentine's Party February 12 from 2:00 – 8:00 pm EST, at the Sweet Romance Reads Cafe. Join today for a fun time! 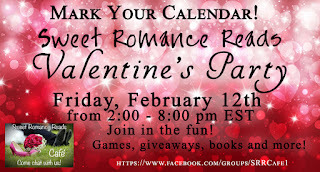 Have you subscribed to our Sweet Romance Reads newsletter? Look to the top right and click on the photo to subscribe today. 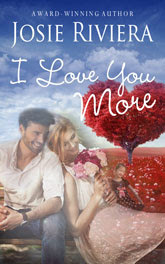 I'm thrilled to announce the release of my new sweet romance Valentine's novella, I Love You More. This book is about international adoption, a subject close to my heart, as my husband and I adopted our beautiful daughter from S. Korea 21 years ago. A billionaire and a single mother have more in common than they know. Can Valentine’s Day bring this unlikely pair together … this time for good? Author's Note: Thousands of families around the world have opened their homes and hearts through international adoption. Soo-Min is the embodiment of many, many fortunate adoptive children and parents who’ve together created forever families. Author Josie Riviera lives in the Charlotte, NC, area with her wonderfully supportive husband of 40 years. They share their empty nest with an adorable Shih Tzu who constantly needs grooming and an old house forever needing renovations. I love chocolate covered strawberries! Yum! I love chocolate covered strawberries, too, Shanna! I love this dessert, also, partly because it's easy but look so elegant.